Jay Z pushing Beyoncé for baby number 2? Jay Z is reportedly taking “a dangerous risk” with family matters. The 45-year-old hip hop mogul and his wife Beyoncé Knowles, who married in April 2008, are parents to three-year-old daughter Blue Ivy. And although the pair were all smiles while celebrating their seven-year marriage anniversary with a trip to Hawaii, it’s claimed Jay Z wants Beyoncé to have another baby in order to address certain problems in their union. "They’re pinning all their hopes on this baby bringing them close again," an insider told OKMagazine.com. "[It’s] a dangerous risk to take but Jay’s convinced another kid will calm her down – and commit her to him indefinitely." Earlier this year Jay Z was slapped with a lawsuit by Rymir Satterthwaite, a man who claims the rapper is his father. 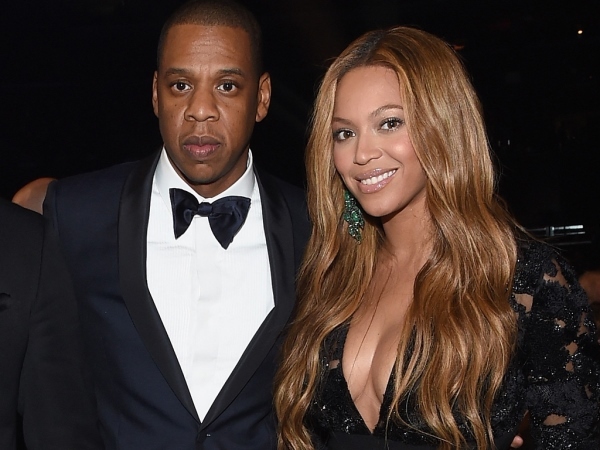 Rymir is said to have alleged Jay Z fathered him 21 years ago after hooking up with his mother. The legal case was supposedly settled out of court privately before the musician would have been ordered to take a paternity test. Jay Z also debuted his new streaming service Tidal in 2015, but the business has not been very popular with the public. And it’s claimed Beyoncé is reeling over all the drama. “Things are incredibly tense between Beyonce and hubby Jay-Z since he put nearly $60 million (R745 million) on the line for Tidal, [but still] that hasn’t stopped their marriage-saving baby number two plans,” the source said.